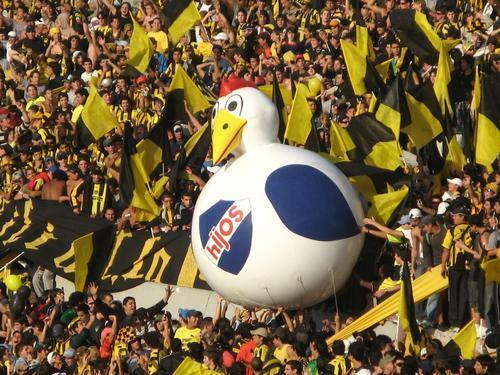 The derby called – “the oldest derby outside the UK” , the Montevideo derby, the Aurinegros vs the bolsos, Penarol vs Nacional. Two teams that their fan bases consist of 80% of the Uruguayan soccer fans, the two most successful teams in Uruguay (Penarol 36 league titles, Nacional with 31) and in the whole of South America, with Penarol winning four libertadores cups and Nacional three. The game, no matter who is the host, is played in the Estadio Centenario in Montevideo with 65-70 thousand fans always packing the stands. The first meeting between the two teams dates back to 1900 and since December 1913 the two teams have faced each other 432 times, with Penarol winning 154 times, Nacional 137 times and the game ending in a draw 141 times. These games are often very heated and fan violence and rioting isn’t something rare when these two giants meet. There’s no parity here in number of fans and titles – There’s no doubt the Colo-Colo is the biggest team in Chile, with 28 league titles, the most fans and also the only Chilean team to win the Copa Libertadores, once in 1991. 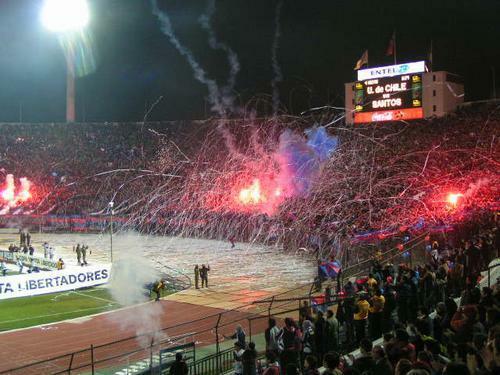 Universidad de Chile are considered the team of the middle class, not the rich. It was embraced by the left wing opposition during the dictatorship days of Augusto Pinochet, who was even named a honorary president of Colo Colo. Universidad have 13 league titles. The teams have played each other 157 times, with Colo Colo winning 62 times, Universidad de Chile 48 and the game ending in a draw 47 times. Ivan Zamorano, who has played in another of other big derbies across the world (Inter-Milan, America-Chivas, Real-Barca) has claimed that there is nothing bigger than the Santiago Derby in his eyes. Mexico City vs Guadalajara. A rivalry between the two biggest cities in Mexico, and not just that. The two are the most successful clubs in the Mexican league, although both are not as dominant as they used to be. Chivas have 11 league titles, with the 1960’s being their glory days while America ruled the league in the 1980’s. 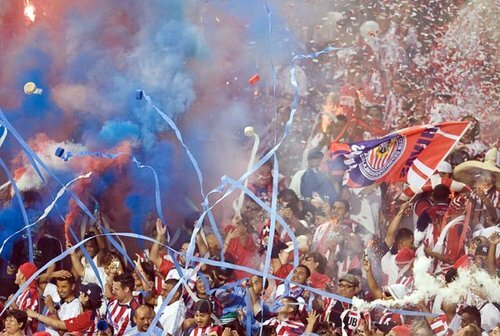 Chivas last won the league in 2006, while America in 2005. America are the wealthiest club in Mexico, probably the wealthiest soccer club in Latin America. They have always purchased the most expensive players and foreigners available. Chivas on the other hand, are the only Mexican club to play with only Mexican born players, thus intensifying the difference between the teams and rivalry between fans. Wether it’s in the Jalisco (Chivas) or in the Azteca (America), this is one of the greatest games you will get to watch. Despite the teams not dominating as in the past, it’s still THE game in Mexican soccer. In 152 meetings, Chivas have won 55, America 51 and 46 have ended in a draw. 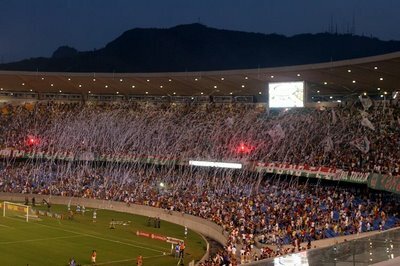 There are many big derbies in Brazil, but none is bigger than the Fla-Flu Rio De Janeiro derby. It holds the record for the most attended club match in history, with 194,603 fans watching in the Maracana in 1963. Flamengo are the most popular team in Brazil, with more than 35 million supporters. Both clubs share 61 Carioca (Rio-State) titles, with Flamengo having one more than Fluminense. Flamengo have also won five national titles and one Copa Libertadores, while have just one national title to show. The rivalry began in 1911, when a group of nine Fluminense players who felt underpaid by their boss left the club and founded the Flamengo soccer club. To date the teams have played 361 matches, with Flamengo winning 131, Fluminense winning 115 and 114 ending in a draw. Nothing else comes close to it in South America, and there’s a good chance this is the biggest soccer rivalry in the world. 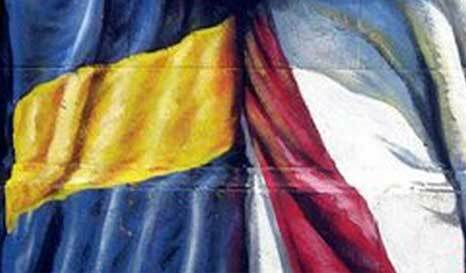 Both teams originate from the same are (La Boca) in Buenos Aires, but after River Plate moved to the more upscale area of Nunez in 1925, the rivalry became much bigger and intense. Boca, who are the most supported club in Argnetina are usually associated with the working class or known as the peoples club, back then having a huge fan base among the poor Italian immigrants community. River Plate are known at los Millionarios, affiliated with the upper class in Buenos Aires and Argentina, but enjoy from great support from all social classes. 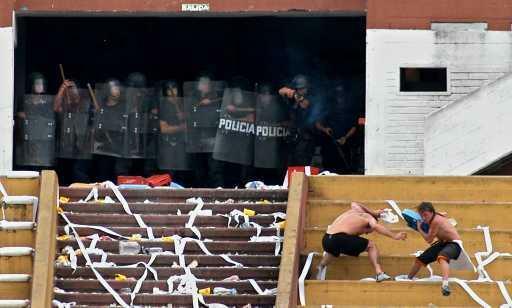 Games in both stadiums, River’s Monumental and Boca’s Bombonera are known for their amazing home supporters and for the incredible, unmatched atmosphere created in derby games, but the Bombonera has the edge there, with the stadium apparently bouncing as 60,000 jump up and down for the whole 90 minutes. River Plate are the most successful side domestically in Argentina, winning 33 league titles but only 2 Copa Libertadores. Boca have 23 league titles, seven since 1998 but are by far the more successful side in the Libertadores competition, winning it six times, four in the last decade. The match is known to be previewd and followed by fan violence, towards the opposing fan faction and against the police. The teams have played each other 208 times, with Boca having a 77-67 edge over River, while 64 games have ended in draws.